Conor McGregor has a lot of time on his hands. “The Notorious” recently announced his retirement from mixed martial arts (MMA) via Twitter. McGregor reportedly was unable to come to an agreement with the UFC on a deal to get him back into the Octagon. The Irishman has been calling for shares in the UFC for several years now. If the promotion wants him to take a co-main event spot on one of their pay-per-views (PPVs), he wants his ownership stake. 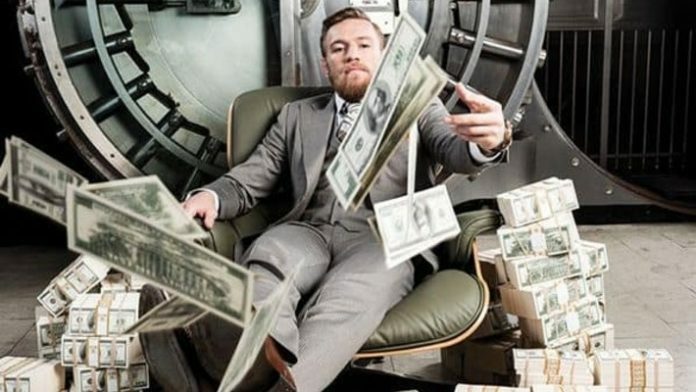 However, UFC President Dana White says McGregor will have to buy his shares like anybody else. Not to mention the sexual assault allegations McGregor is dealing with out of his native Ireland – all of these things might hinder a possible return to action anytime soon. In the meantime, McGregor found some time to enjoy April Fools’ Day today (Mon. April 1, 2019). He took to Twitter and trolled mixed martial arts (MMA) fans by suggesting he’s getting into the wine business. What did you think of McGregor’s April Fools’ Day prank?